For television networks, being at the forefront of the news, current affairs, and all-around information disbursement to the public is as important as finding the best people to present and deliver the news. The latter is such an important role in the news media that networks are willing to fork out millions for talented presenters. This has resulted in talent scouting across the globe to find men and women capable of performing the role. One man who has slotted in perfectly into this role is Karl Stefanovic, an Australian television presenter whose career has lasted decades. Not only has his talents being financially rewarded, but he is also a Gold Logie award winner. Learn more about Karl Stefanovic below. 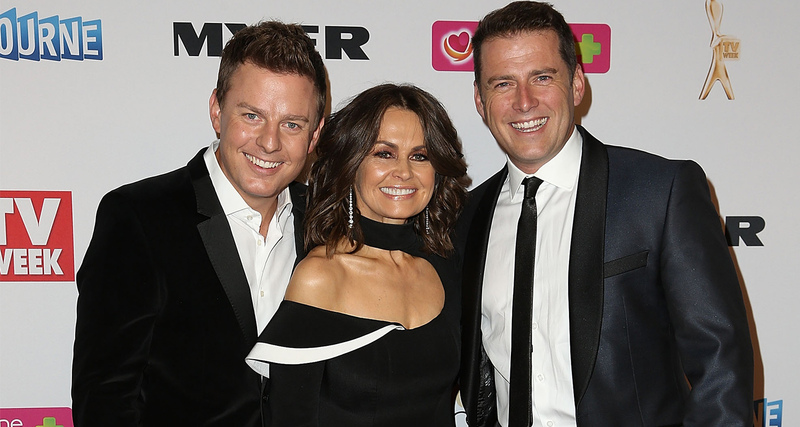 Karl Stefanovic has risen to the summit of journalism in Australia and he can look back on his life with pride of accomplishments that puts him on the same level with his peers across the globe. It is a journey that started on the 12th of August, 1974 in a little town in New South Wales, Darlinghurst in Australia. Karl was welcomed into the world on this fateful day by his parents, Alex Stefanovic and Jenny Stefanovic. He is one of four children born to his parents, with the rest being two brothers, Tom and Peter Stefanovic and a sister named Elisa Stefanovic. It is the dream of every parent for their child to get a good education and make something of themselves in life and the fulfillment of that dream for Karl’s parents began at St Anthony’s Catholic Primary School and ended at the Queensland University of Technology where Karl graduated with a degree in journalism in 1994. Despite what was smooth sailing in his education, Karl’s first attempt at transitioning into the real world as a professional was met with disappointment. He was unable to secure a cadetship after graduation. It was not to be his only disappointment as he also failed to secure a place in the National Institute of Dramatic Art after an audition he attended at the advice of his father. Eventually, an offer from a television station, WIN Television came for Karl and rather than waiting a year for another to audition for NIDA, he chose to take the job. It was a decision that led Karl to become the man he is today. He resumed work as a cadet reporter for WIN Television in 1994. He spent two years at the station before he moved to TVNZ as a news reporter on their news show, One Network News. It was a career move that caused him to relocate to New Zealand. Two years in New Zealand was an international experience that proved useful in his professional life. His 1998 return to Australia saw him join Ten News as a news reporter and presenter. After the first six years of his career, where he spent it gaining experience on different networks as a reporter and a presenter, he got a bigger role at Nine Network in 2000 where he was contracted as a reporter and a backup presenter for the network’s show, National Nine News. While he was at Nine Network, his career profile received a significant boost through an award – Queensland Media Award for Best News Coverage. Since that award, Karl’s journey to the top has been a gradual but continuous. He became the hosts of the show, Today in 2005. He has also hosted Carols by Candlelight, which he did from 2008 to 2012. He has also hosted the This Time Next Year show on the Nine Network. He did, however, leave his Today post as host in December 2018 after he was relieved by the network as a result of falling ratings. He is expected to reprise his role as the host of This Time Next Year. Karl has also appeared in a couple of film and television shows, such as Independence Day: Resurgence and The Jesters. As a man who spent a lot of his years on one of Australia’s most popular shows, Karl is one of the highest earners in his profession. He is believed to have a net worth of $10 million with his current annual salary unknown. After his divorce from his Cassandra Thorburn whom he had been married to for 21 years, Karl married Jasmine Yarborough in 2018. He had been dating Jasmine for a couple of years and announced his engagement to the shoe designer and socialite who is the owner of the brand, Mara & Mine in February 2018. He has three children from his first marriage to Cassandra Thorburn.